The 2010 Ladbrokes St Leger, the 234th running of the world’s oldest Classic, has attracted 12 horses at today’s five-day stage, headed by the clear market leader, Godolphin’s Rewilding. The Classic, scheduled for 3.20pm on Saturday, September 11, and run over one mile six furlongs and 132 yards, is the highlight of the final day of the four-day Ladbrokes St Leger Festival at Doncaster. Simon Crisford, the Godolphin racing manager, talked about Rewilding at today’s Ladbrokes St Leger lunch at the Landmark Hotel in London. The three-year-old colt had an excellent prep race for the Doncaster Classic by winning the Great Voltigeur Stakes in good style by four lengths at York in August. Crisford said: “Rewilding has done very well since winning at York - Mahmood (Al Zarooni, his trainer) has been extremely happy with Rewilding - he is a very straightforward colt and does not carry a lot of condition. “He has got a fantastic profile - he was third in the Derby and then he won the Great Voltigeur like a really classy colt. “To win the Ladbrokes St Leger is all about class in my view. We have been lucky enough to win this Classic with five horses but you have to be good and he has the class. “I watched Rewilding work on Saturday morning - he did a little breeze on his own because he did not actually need any work. He is very athletic and very fit and does not take any training. “He is a little bit like a filly in a roundabout way but the great thing about him is that he comes from a fabulous family - he is a half-brother to Dar Re Mi plus a host of other talented middle distance performers. “A mile and six furlongs is great while he also has enough speed to win over a mile and a quarter - next year we will be campaigning him over shorter distances. He is a very uncomplicated horse. “He had just arrived from France (before running at Goodwood in May) - people underestimate the difficulty of moving horses around and mid-season is even more difficult. “He ran extremely well in the Predominate at Goodwood and then he put up a huge run in the Derby - he did not like the track at Epsom and encountered the fastest ground of his life. “He only got going in the last quarter-mile and that was a big run to finish third - he probably should have been second on a level track but the winner was outstanding. “At that time, by looking at the horse and thinking of the big picture, it was thought best to give him a holiday and miss Goodwood. So that is what we did as Sheikh Mohammed was very keen to focus all attention on the Ladbrokes St Leger. “We will see what happens afterwards and whether we consider the Arc - he has got to win on Saturday for that to happen. Corsica, trained by Mark Johnston for Sheikh Mohammed’s son, Sheikh Hamdan bin Mohammed al Maktoum, will act as a pacemaker for Rewilding who is the 13/8 favourite for the Ladbrokes St Leger with the sponsor. Ed Dunlop, the trainer of dual Oaks winner Snow Fairy, also attended the Ladbrokes St Leger lunch and he said: “Whether she runs depends on the weather actually. “If it is not too bad, she will definitely run in the Ladbrokes St Leger. She has been a total surprise package. “We have been lucky enough to place her well and it has been a great story for me, the staff and the owner (Cristina Patino). “I was going to run her in a Listed race at York at the start of the season and took her out of that because the ground was too firm. I looked at the programme book and found the Lupe Stakes (at Goodwood) and she won that well and then we supplemented her to the Oaks and Irish Oaks. “My brother and I train one horse each for the owner and my father has about 20. My father gets the choice of the ones she breeds but obviously did not pick Snow Fairy. “She has won two Oaks and was beaten by a better filly at York (Midday in the Darley Yorkshire Oaks). “We are looking forward to the race - I’ve never had a runner in the Ladbrokes St Leger before, although the Godolphin horse (Rewilding) is going to be very hard to beat and I know that (Godolphin's racing manager) Mr (Simon) Crisford is pretty bullish. “I hope Snow Fairy runs well but if she doesn't stay at Doncaster she won’t be bullied into having a hard race - she does not deserve that. She’s still in the Prix Vermeille (on Sunday) and will stay in there and will have one, or maybe two, more runs this year. Mark Tompkins, trainer of Ted Spread, said: “In the winter I told the boys that owned him that, if he was going to be a nice horse, then the Ladbrokes St Leger was his race. “He’s a big, tall horse and he was always going to be better at this time of year and even more so next season. “He won his Derby trial at Chester and then you feel nearly forced to run in the Derby - the course and ground did not suit him. I was then delighted with his run at York last time. “I’m pleased that rain is forecast but it has still got to actually happen. Any rain will undoubtedly suit him and if we get it then I think we have a chance of being in the frame. Mr (Darryll) Holland will definitely ride and, although I’m not getting excited, I’m hopeful. Sir Michael Stoute, trainer of Total Command, said: “We confirmed him this morning and then will check on the ground on Thursday morning before deciding whether he runs. He wants it good or softer. Aidan O’Brien has left four in the race - Midas Touch, Joshua Tree, Flying Cross and Bright Horizon - and he reported: “The plan is to run Joshua Tree and Midas Touch and Bright Horizon is also a possible. At the moment, Flying Cross is a possible for the Irish St Leger at the Curragh but nothing is set in stone and a lot depends on the weather because we are forecast rain at home and in Doncaster. “Midas Touch has been a very consistent horse and ran a very good race when second in the Irish Derby and again in the Great Voltigeur Stakes. We still think he’s on the upgrade and gave him a break after the Irish Derby and used York as a prep for the St Leger. He was giving 3lb to Rewilding that day and we were delighted with his run. “I was happy to get a run in to Joshua Tree at York and he was only just ready to come back then. We’ve taken our time with him and we’re delighted because he’s come on again since the race. “We’ve given plenty of time to Flying Cross and the race he won at Tipperary came up lovely for him. He won it nicely as well. John Gosden is set to be represented by Arctic Cosmos, owned jointly by his wife Rachel Hood and Robin Geffen, and the trainer said: “Looking at my two previous winners of the race then, like Lucarno, he was second in the King Edward VII Stakes, as was Conduit who won last year for Sir Michael Stoute. “But my other winner, Shantou, ran in the Rewilding race and for me that horse has the best form and sets the gold standard coming into the race. “We’ve had the Leger in mind for Arctic Cosmos since Royal Ascot and he’s a giant of a horse who we’ve not rushed at all. The end of this year and next year will be important for him. “The spring was brutal for us this year with a cold north-east wind and no rain and we had a problem with the ground so he ran on the all-weather so as not to come back jarred up. He actually loved it and won at Wolverhampton and Kempton. “There is nowhere to run a three-year-old like him between Royal Ascot and the Leger other than the Gordon Stakes and Great Voltigeur. We chose the Gordon because I knew they’d watered the track well at Goodwood. He was very uncomfortable coming down the hill but then finished very well. He loved the last furlong but not the previous bit of the race. Jeremy Noseda is set to run Highclere Thoroughbred Racing’s Theology and he said: “He won’t mind a bit of cut and a stiff test of stamina should suit him. His last few pieces of work have been good and he’s approaching the race in top shape. “He doesn’t have a lot of similarities with Sixties Icon, who won the race for me when it was staged at York in 2005. That horse went in there with a favourite’s chance, whereas this time we’re an outsider but I think he has a bit of a chance. James Given flew in for the lunch from Turkey, where he saddled Indian Days to score yesterday, and he is looking forward to running Dandino at Doncaster on Saturday. He said about the Elite Racing Club’s three-year-old: “It was a great result yesterday and the horses are running very well at the moment. “Dandino was a very backward horse mentally and took a long time to get the hang of things, but he’s certainly got the hang of it now. As a two-year-old, he suffered from attention-deficit disorder and would get distracted by things like pigeons flying around or a bus on the road. “I was initially disappointed leaving Goodwood when he was second in the Gordon Stakes but in hindsight he just didn’t come down the hill very well and I think it might have been a different result in a few more strides. 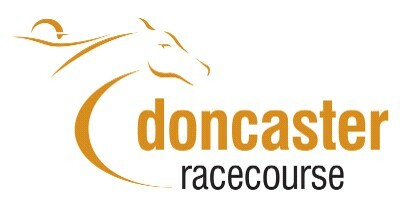 “Whatever ground we get at Doncaster won’t be a problem. When he won at Epsom it was quite quick and if anything at Goodwood it was a little loose on top. Class 1, Group 1, £500,000 Total Prize Fund. 3.20pm, Doncaster, Saturday, September 11, 2010. For 3yo only, entire colts and fillies. One mile, six furlongs & 132 yards. Weights: colts 9st; fillies 8st 11lb. Entries closed July 20, entries revealed July 21 (42 entries). Scratchings deadline noon, August 24 (16 remained), five-day confirmation & £45,000 supplementary entry stage Monday, September 6 (12 remain, no supplementary entries), final declaration stage 10am, Thursday, September 9. Form figures supplied by Weatherbys and are correct up to and including the racing of Sunday, September 5, 2010. 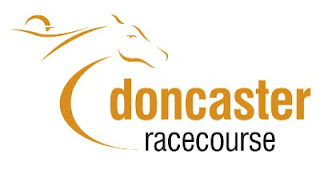 David Williams, Doncaster’s Clerk of the Course & Estates Manager, reported this morning: “We are due rain overnight tonight into Tuesday with anything up to between 20 and 30 millimetres, so it’s a pretty significant amount. “We could see more rain on Friday, with the forecast being for between seven and eight millimetres and I just hope this doesn’t run over into Saturday. The forecast is certainly looking unsettled for the week. “The ground is currently still good to firm and we have just been keeping it ticking it over for the past three weeks. Up until last Friday, we were not forecast any rain at all - there was a band coming through but not for the amount we are looking at now for this week. “It’s been a funny old year to be honest. It has been dry and we have pretty much had a drought here, although we had 15 millimetres of rain in two days three weeks ago. Some rain would be welcome, but not in the amount we are forecast. “In some respects, it is a godsend that we have been so dry with the amount of rain that is forecast. Ladbrokes St Leger Day also features two superb Group Two contests including the £160,000 Eddie Stobart Park Stakes (3.55pm) and a total of 18 horses remain on course for the seven-furlong contest at the five-day confirmation stage. Premio Loco has enjoyed a superb season and the Chris Wall-trained six-year-old may head to Town Moor having scored in the Group Two Summer Mile at Ascot and found only Canford Cliffs and Rip Van Winkle too strong in the Group One Sussex Stakes at Glorious Goodwood. The Jeremy Noseda-trained Arabian Gleam is set to bid for a third victory in the race following his successes in 2007 & 2008, while last year’s winner Duff may bid to plunder another big prize for his Irish handler Eddie Lynam, who sent over Sole Power for a famous 100/1 triumph in the Group One Nunthorpe Stakes at York last month. Both Cat Junior, from the stable of Brian Meehan, and the Barry Hills-trained Ouqba may also re-oppose Duff having finished second and fourth respectively last season. Both horses have performed admirably in Group company again this term, including when filling the places behind the Saeed bin Suroor-trained Shakespearean in the Group Two Hungerford Stakes at Newbury in August. High Standing was third behind Regal Parade in last season’s Group One Haydock Sprint Cup for William Haggas and the five-year filled the same position behind the David Nicholls-trained sprinter in the Group One Prix Maurice de Gheest at Deauville on his latest start. Group Two winners Finjaan, representing Marcus Tregoning, and the Clive Cox-trained Balthazaar’s Gift may also bid for further big race glory alongside the Mark Johnston-trained Rainfall and St Moritz and Irish Group Three scorer Air Chief Marshal, from the Ballydoyle yard of Aidan O’Brien. The 12 five-day confirmations for the £118,700 Group Two Investment Management Champagne Stakes (2.10pm) have been joined by a pair of supplementary entries, who were added to the field for the seven-furlong contest at a cost of £10,000 each. The William Haggas-trained Approve will be bidding for a third Group Two success this term following victories in the Norfolk Stakes at Royal Ascot and the Gimcrack Stakes at York, while Saamidd, representing Saeed bin Suroor, was an emphatic seven-length winner on his only start at Newbury on August 13. Other notable contenders include Waiter’s Dream, who was a ready winner of the Group Three Acomb Stakes at York for Brian Meehan and Ascot Listed winner Toolain, from the stable of Michael Jarvis. A quartet of remaining entries from Aidan O’Brien features Samuel Morse, who was beaten a short-head in the Group Two Railway Stakes at the Curragh in June, and Group One Phoenix Stakes fourth Emperor Hadrian. Class 1, Group 2, £160,000 Total Prize Fund. 3.55pm Doncaster, Saturday, September 11, 2010. For three-year-olds and upwards, seven furlongs. Weights: three-year-old colts and geldings 9st, fillies 8st 11lb; four-year-old and up colts and geldings 9st 4lb, fillies 9st 1lb. Entries closed Tuesday, July 20, entries revealed Thursday, July 22 (53 entries). Scratchings deadline noon, August 24 (32 remained), five-day confirmation stage September 6 (18 remain), final declaration stage, 10.00am, Thursday, September 9. Form figures supplied by Weatherbys and are correct up to and including the racing of Sunday, September 5, 2010. May not include some overseas form. Class 1, Group 2, £118,700 Total Prize Fund. 2.10pm, Doncaster, Saturday, September 11, 2010. For 2yo, colts & geldings, seven furlongs. Weights: 8st 12lb. Penalties: a winner of a Group 1 or Group 2 race 3lb. Entries closed Tuesday, July 20, entries revealed Thursday, July 22 (82 entries), scratchings deadline noon, August 24 (37 remained), five-day confirmation and £10,000 supplementary entry stage September 6 (12 confirmations, 2 supplementary entries), final declaration stage, 10.00am, Thursday, September 9. Form figures supplied by Weatherbys and are correct up to and including the racing of Sunday, September 5, 2010. May not include some overseas form.